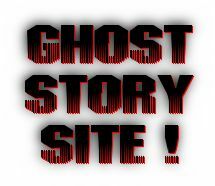 My Ghost Stories - Lady B.
I opened my eyes to Mr. Lan mowing his lawn. I got up and walked downstairs. "Good morning, honey." Mom said. "Have some pancakes." I saw my little sister, Katana, with a messy face full of pancakes. "Ada!" She said. "What?" I said, sitting down. "Did you hear the big news?" She hesitated. "That mommy said?" I looked at mom. She flipped a pancake. "No..." I said. "Well we are going to stay with aunt Cheryl for the summer!" She said, taking a bite out of her pancake with a big smile on her face. I almost shouted. "What??" I said, very excited. "You know, aunt Cheryl! The best aunt ever!" She said, I smiled. "You mean the one who lets us do anything fun?" I said, as I watched my mom put down the plate infront of me. "Yeah!" She said, with a mouth full of butter. "Yes!!" I yelled, scaring Tank, our bulldog. Me and Katara chatted about what we were going to do, while we both ate. Finally, my dad got up. "Grady," Said my mom, "The kids are staying with Cheryl for the summer, we get to have a vacation." She said. "What? They can't stay there! Have you heard about her house?" Said my dad. "I need to talk to you in the living room." I watched as mom and dad walked into the living room. I shrugged at Katana. She got up and got some juice. I sat there, trying to listen to their faint conversation, when Tank walked up and put his head on my lap. I patted his brown head, still listening to the conversation. Katana went upstairs, to the bathroom. Mom walked in saying, "Theres no way that house is haunted, Grady. I'm not falling for it." I shivered. Thinking about aunt Cheryl's squeaky floors and loose doors. "But Jane, I'm warning you! Im not lying!" My dad said. My mom went upstairs and Katana came downstairs, out of the bathroom. I followed her and sat in my Orange bean-bag chair, while she put on her Elmo movie. "Katana," I said. "Can't we watch something else? You watch this like 3 times a week!" I groaned. "Adeline, no!" She said, turning the TV on. "I love this movie and now you know how I feel when you put on your dumb Titanic movie every monday!" I got up and dragged myself into my bedroom. Which outfit should I wear? I said in my mind. I want a cute one. I looked closely. How about this teal and purple sparkly one, with a matching skirt. I slipped it on, and put on clean tye-dye purple and teal socks. I walked over to my vanity, brushed and straightend my long, brown hair. I heard a knock at my bedroom door. I opened it up. It was my dad. "Get ready, Cheryl is coming. I just told your sister." He said, smiling. "I already did." I scoffed. "I see." He said, closing the door and letting Tank in. I played with Tank for 2 minutes, until I slipped on my sneakers. I heard a car horn. Beep Beep! I let Tank out, and ran to the drive way. Mom, Dad, and Katana were there, too. Then, thats when I saw the silver jeep. "Katana, Adelina!" Said aunt Cheryl, hugging us both. "I'm so happy to see you!" Katana and I smiled at eachother. I watched as aunt Cheryl hug Mom..and then dad. They chatted for 6 minutes until Katana joined in. I decided to join in, too. We talked and talked for half an hour. "Okay we should get going." aunt Cheryl said, smiling. Mom and dad went in the house and Katana and I hopped in the car. I sat in the front while Katana sat behind me. "Now, you know my house has squeaky floors and stuff, right?" Said aunt Cheryl studdering a bit. "Yeah," said Katana. "Right Ade?" I looked at aunt Cheryl. "..Right." I said. Aunt Cheryl looked worried. "So uh, if you hear noises its ok because my house is - old.” aunt Cheryl said. Katana laughed. “Like an old granny!” She cracked up some more. I smiled a little bit and looked at Katana. I put on my headphones and listened to pop, my favorite music. I thought about how dad was saying about how we shouldn’t be sent here because the house is haunted.. I hoped mom was right, that he was just trying to play a joke. I closed my eyes as it started to rain. I listened to it. I heard a strange keeeeel noise. I took off my headphones. “Did you guys here that keeeeel noise?” I said. “Yeah. What was that?” said Katana. I shivered. “Oh it was just the car...” Said aunt Cheryl. I put on my headphones and continued listening to music, looking out the side window and the window infront of me. I saw the car’s headlights point at a tall, yellow house. It did look pretty old. We pulled into the driveway. I looked at the car’s clock. It was 9:01 PM. Katana was sleeping. So aunt Cheryl carried her. I ran into the house, trying to avoid the rain. Katana woke up, so aunt Cheryl put her down. She unlocked the door with her house key and everyone rushed in. Katana ran to the couch and fell asleep. The walls were a nasty light green.. It was nasty because it was old. It was rotting, and some spots on the ceiling had mold on them. the floor was wooden, with random dark spots that were moist and kinda peeling off, and they were squeaky. It was kinda gross. the tables had cobwebs and they were broken and cracked a little bit. The couch was maroon, and it has holes in it, and the inside was rusted. There was a brick fireplace, and a old-fashioned TV. “....Oh-My” I said. Aunt Cheryl grabbed Katana and brought her up the rotting, squeaky stairs. I followed. She went into a bedroom. It was just like downstairs. Even the bed was broken down. I made a disgusted look. She tucked Katana in the bed like nothing and said, “You should go to bed. So do I.” She pointed down the hall at a room that kind of looked the same. She walked into another bedroom and I walked into the one she pointed at. I was really creeped out. I covered myself with the blanket and tried to stay warm. It was so cold. I fell asleep listening to the sprinkling of the rain. I heard squeaks from the floor. I opened my eyes and looked at the clock. It was 3:12, I had the butterflies a little bit. I got up and opened the door, I tip toed to aunt Cheryl’s room, I peeked in she was there. I checked Katana.. She was gone. I gasped and walked in. “Katana.” I whispered. “Ade!” I heard. “Its Katana, I’m on the other side of the bed!” I looked and there was Katana. “I saw the lady.” She said “The butcher lady!” I was shocked. I tried not to scream. “What are you talking about? How do you know what a butcher is? Tell me everything.” I whispered. “I woke up to squeaks, I saw something in a hallway move. It was black, I could see it a little bit. So I hid behind here. I saw a lady in the doorway.. I cried a little bit. I am Butcher Betty. She told me. I asked her what a butcher is and she said -” Katana started to cry. “That a butcher is someone who slaughters people and animals and she said that slaughter means cut and whack with an axe.” She sobbed quietly. “What did she look like?” I asked. “She had on an apron that had blood on it and she has black hair. She has a tall chef hat on.” She kept on sobbing. “She held up an ear of a kitty that was bloody. Then she dissapeared with a scary smile.” She started to cry. I grabed her and hugged her tight. I picked her up and we ran to aunt Cheryl’s room. I set Katana down and woke aunt Cheryl up. We told her everything. “Its alright.” She said. Then she hugged us. “Lets go down stairs, talk about it, have some tea, and then play a boardgame!” She smiled. “How does that sound?” We all smiled. “Great! !” Katana and I said. We went downstairs and sat down. We talked about how we felt. Ecspecially Katana. She made us warm, sweet tea. “Now which game? I have 2 boardgames.” She said. “Candyland or checkers?” Katana and I looked at eachother and nodded. “Candyland.” We said. I was ice cream, Katana was a marshmallow, and aunt Cheryl was a gingerbread girl. Katana ended up winning. Then we all got to sleep with aunt Cheryl. I was too old to but I just needed some peaceful sleeping time. It was morning, chilly outside and damp. Since it rained, we had to stay inside. "Ade," Said Katana. "What do you want to do?" She Said. Turning the Fireplace on, I said, "I don't know go ask aunt Cheryl. I will be listening to music." Katana groaned. "There is nothing to do here." And she walked in the kitchen. Listening to aunt Cheryl hum, I put my headphones on. Then, I took them off and said, "Can I call my mom and make sure everything is all right?" I knew my father was worried to death. "Why not?" Aunt Cheryl said, handing me the old phone. I dialed my house-phone's number. "Hello?" Said my mom. "Hey can I talk to dad?" I studdered. "Okay." I heard my mom say, Grady, it's Adeline! She wants to talk to you. Someone picked up the phone. "Hello." My dad said. "Hey, um how is everything?" I said anxiously. "Good. How are you guys?" He said. "Uh, great." I mumbled. He chuckled. "Well I have to go." He chuckled again. "Alright." I said, hanging up the phone. Aunt Cheryl smiled at me. I got goosebumps down my spine. I felt someone trace their finger down my back. I quickly turned around, expecting to see Katana, which I then remember was upstairs. "Something wrong?" Asked aunt Cheryl. "Umm I just felt someone trace there finger down my back." I nervously smiled. She put her hand on my shoulder. "It's okay. You just need to get used to this place. Then it will stop." I paused. "W-What do you mean?" I asked. She laughed. "I mean your new to this house, so your brain is overreacting. Thats all." She smiled again and slowly walked to the living room and put on some TV. I sat down. "How do you know that, about the brain?" She looked at me, like I was crazy. "You learn that in 9th grade. Science class." She looked back at the old TV, watching Man vs. food. I heard screaming. "Did you hear that?" I said. Aunt Cheryl nodded. There was thumping. Katana ran down screaming. "SHE IS HERE! THE BUTCHER GIRL IS HERE! SHE IS BACK!!!" She cried. "What?" Said aunt Cheryl. Hugging her. "I SAW HER! AGAIN! SHE WAS IN MY CLOSET!" She cried. "SHE HELD UP HER KNIFE AND TRIED TO STAB ME!" Aunt Cheryl frowned. "What shows are you watching?? "She Scowled. "They must be very in innappropriate for young children like you, Katana." She cried on the couch. "I wanna go home! I wanna at least talk to mommy and daddy!" I stared at her. They are supposed to be on VACATION. I called them for a short time. They don't need another call from their child again. It'll ruin their "Peace!" 2 months past, tommorrow was the last day of summer. And all the stuff CONTINUED happening. "Ade, aunt Cheryl! I'm excited to go home! This house is scary!" Said Katana. Aunt Cheryl sighed. "Guys.. you know how I have no Idea about the ghost and think your seeing things?" Katana and I nodded. "Well I know about them!" She cried and hugged us. "I just didn't want to scare you!" Me and Katana smiled. "Why don't you move?" I asked. "Because I don't have enough money!" She cried. Me and Katana nodded. at eachother. "We can call our parents and you can move in with us!" We smiled. "Really?" She said, elated. "Sure!" Katana said. We called mom and dad and told them everything. We even let aunt Cheryl talk on the phone to them. The next day, we went home. But Aunt Cheryl stayed with us!